California is a community property state, which means that assets acquired, and debts incurred by either spouse during the marriage belong equally to both spouses. Unless, of course, the spouses entered into their own agreement as to property division and the division of debts – a pre-marital or post-nuptial agreement. If no pre-marital or post-nuptial agreement exists, the court will usually order that community property and debts will be divided equally between spouses in a divorce. 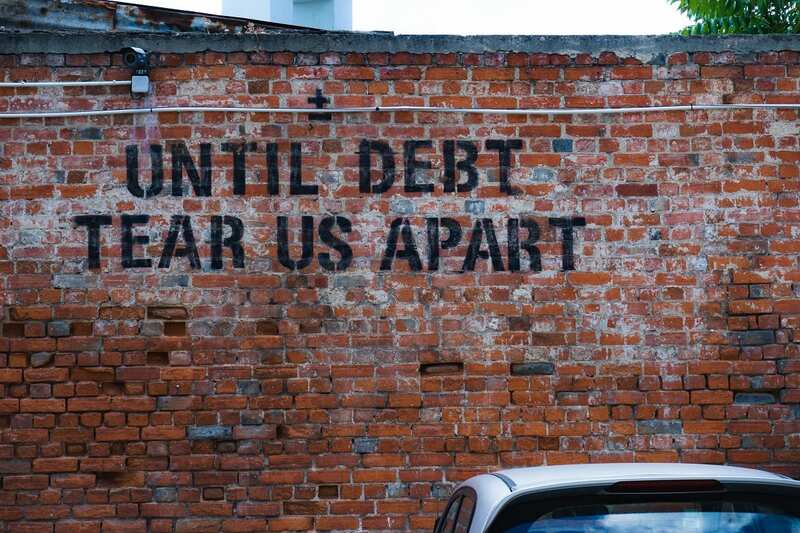 Community debt and liabilities are a necessary part of divorce litigation. Debt may include credit card balances, car loans, mortgages, lines of credit, and other consumer loans. All joint and individual debt acquired after the marriage has an effect on the value of a couple’s marital estate. Naturally, debt reduces the value of the estate, which ultimately impacts how the court divides property and influences how the debt will be paid after the divorce. Married couples often own a mix of separate property, community property, and property that may have both community and separate interests which can make issues like the division of retirement assets complicated. Separate property belongs to just one spouse. Separate property debts include debts incurred before or after the marriage, or those referenced by a valid written agreement of the parties to be excluded from the marital assets. Community property includes all debts acquired or incurred by either spouse subsequent to the date of marriage and before the date of separation, and not specifically established as separate property of either spouse. In proceedings for dissolution of marriage in California, the date on which a married couple is deemed to have separated is legally significant. Pursuant to the Family Code, the date of separation is defined as a complete and final break in the marital relationship…, as evidenced by both of the following: (1) One spouse has expressed to the other spouse his or her intent to end the marriage; and (2) the conduct of that spouse is consistent with his or her intent to end the marriage. The Court must consider all relevant evidence in making the determination of a couple’s date of separation. Once the date of separation is determined, the couple’s debt is most generally divided pursuant to the amount incurred as of the date of separation. Further, debt incurred after the date of separation is likely to be characterized as the incurring party’s separate property debt. Likewise, income and accumulations earned after the date of separation will likely no longer be characterized as community property and will instead form a part of the earning party’s separate estate. As you can see, in contested divorce proceedings, the date of separation can be very important. This date informs the characterization of property, which is instrumental in deciding how property and debt is divided. Not only is the characterization of debt as separate or community in nature important in determining the value of the community estate and adequate distribution of said debt, but it is also equally important with respect to each party’s legal liability. In California, pre-marital debt is treated differently than pre-marital assets. The Family Code reads, “except as otherwise expressly provided by statute, the community estate is liable for debt incurred by either spouse before or during marriage, regardless of which spouse has the management and control of the property and regardless of whether one or both spouses are parties to the debt or to a judgment for the debt.” In simple terms, community funds may be reached by a judgment creditor to satisfy a debt even if that debt was incurred by one party before the marriage. In California, the law simply states spouses cease being responsible for the debts of the other as of the date of separation. However, if a spouse accumulates debts during the divorce process that are for necessities – not luxuries – for himself/herself or the children of the marriage, the court has the authority to assign these debts to either spouse, which is typically based on who can actually pay the debt. Debts considered “necessary” typically include food, shelter, transportation, and medical bills. As such, you should be mindful that you may be liable for the debt your spouse incurs after the date of separation but before your final dissolution. Generally, separating couples can work out a separation of property that both parties believe is fair. Notwithstanding the same, until the Court signs the agreement or Judgment, the community property debts still belong to both parties and do not become separate, even if both parties have agreed on how to divide the property amongst themselves. When dividing property and debts, it is important to draft an agreement that divides assets and debts as equally as possible. Dividing your property does not necessarily mean a physical division. By way of example, if you and your spouse have two (2) bank accounts, you do not need to split each account down the middle and split the funds. Rather, review the balances in the account to determine if the accounts have equal value or if one account has more value than the other. If one account has more value than the other, then the party who receives the higher value account is likely to also be assigned a bigger community debt (i.e. credit card debt) to offset the amount and provide for a fair, equal division. In the alternative, a spouse who receives an account with a higher balance than the other spouse may simply make a payment to the other, called “equalization” to compensate for the difference. When specifically dividing debt, it’s important that you use caution. Many times, parties to a dissolution approach division of debt by dividing the entire amount owed and dividing it in half. By way of example, one party takes half the credit cards and the other party takes the other half. It’s important to note that when you make agreements between yourselves to pay off debt, the people to whom you owe money, the creditors, do not have to honor your agreement with your spouse. Rather, the creditors can go after the spouse or partner that signed the contract regardless of which of you agrees to be responsible for the debt. One way to avoid this problem is for the person who is to pay the joint credit card to open a new credit card in only his/her name and complete a balance transfer. If you and your spouse divide your debt amongst yourselves before your final Judgment is executed, you are effectively “settling” your community property debt, which, naturally, will protect against future debt. However, in the event that you are unable to divide your debt before your final Judgment, you should ensure that within your final Judgment, there is specific language that requires the party who is to be assigned a particular community debt to remove the other spouse’s name from said account and specifically indicate that he/she will be held harmless on the debts, liabilities, and obligations listed in the Judgment. To ensure that both spouses comply with the language indicating that one party’s name must be removed, it is good practice to provide a time frame in which one party must complete the action of removing the name, such as ten (10) days from execution of the Judgment. Further, you should also ensure that there is a provision within your Judgment allowing the Court to reserve jurisdiction to enforce any terms of the Judgment, for example, to remove a spouse’s name from a credit card. That way, you ensure that not only will the language in the Judgment protect you, but the Court will also have the authority to ensure that the spouse who is to take action, does as well. If you are considering filing for dissolution or you are in the middle of a dissolution proceeding and have questions relating to community property laws, contact the experienced family law attorneys at Bremer Whyte Brown & O’Meara, LLP. With the help of experienced family law attorneys, you will be able to effectively determine the characterization of your assets and debts and craft a creative, yet fair division of your assets and debts.